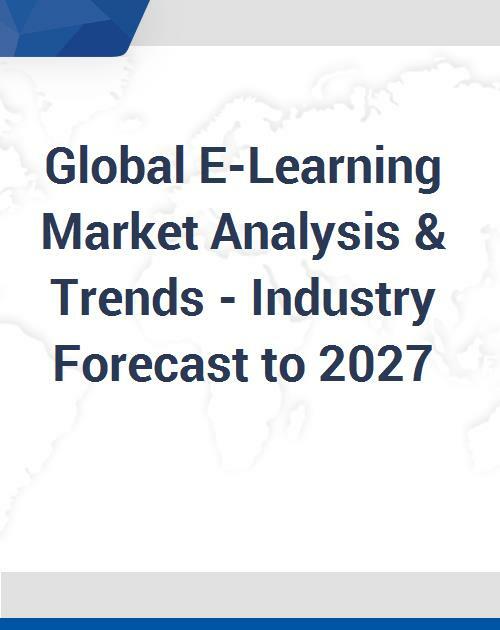 The Global E-Learning Market is poised to grow strong during the forecast period 2017 to 2027. Some of the prominent trends that the market is witnessing include increased applications of virtual reality (VR) and augmented reality (AR) in e-learning, increase in going mobile and going social trend and advent of advanced technologies. Based on Provider, the market is categorized into Content, Service and Faculty support. Amongst Learning Mode, the market is segregated into Instructor-Led Teaching and Self-paced E-learning. Based on Tools, the market is divided into Micro E-learning, Game-based learning and Cloud-based learning. Amongst Type, the market is categorized into Testing E-learning and Training E-learning. By Material, the market is classified into Open Educational Resources (OER) and Cloud Learning Management System (LMS) and On-Premise Learning Management System (LMS). Learning Content Management System, Application Simulation Tool, Knowledge Management System, Podcasts, Massive Open Online Courses (MOOCs), Wearables and Others, Digital learning devices, E-learning IT infrastructure, Packaged Content and Other Technologies. Depending on Application, the market is categorized into Government Academic and Blended E-Learning. Government is divided into Corporate, Large Enterprises Small and Midsize Business (SMB). Academic is further divided into Higher education, Vocational training and K-12. This industry report analyzes the market estimates and forecasts of all the given segments on global as well as regional levels presented in the research scope. The study provides historical market data for 2015, 2016 revenue estimations are presented for 2017 and forecasts from 2018 till 2027. The study focuses on market trends, leading players, supply chain trends, technological innovations, key developments, and future strategies. With comprehensive market assessment across the major geographies such as North America, Europe, Asia Pacific, Middle East, Latin America and Rest of the world the report is a valuable asset for the existing players, new entrants, and the future investors. The study presents detailed market analysis with inputs derived from industry professionals across the value chain. A special focus has been made on 23 countries such as U.S., Canada, Mexico, U.K., Germany, Spain, France, Italy, China, Brazil, Saudi Arabia, South Africa, etc. The market data is gathered from extensive primary interviews and secondary research. The market size is calculated based on the revenue generated through sales from all the given segments and sub-segments in the research scope. The market sizing analysis includes both top-down and bottom-up approaches for data validation and accuracy measures. Note: Tables for North America, Europe, APAC, Middle East, Latin America, and ROW Regions are also represented in the same manner as above.